It was less than a week after my family returned to Detroit and I was making preparations to leave again. I received an assignment to travel for a month. Ironically, I was given the assignment two days prior to my vacation and I was scheduled to leave two days after my vacation. Thankfully, I had a helpful Program Office. The trip required a connecting flight in Copenhagen, Denmark. Originally, I wanted to arrive on Tuesday and take the second flight on Wednesday so I could spend the evening in the city. However, the approval process took a little longer than I expected. So, I departed on Wednesday which meant it would be a LONG travel day. My day of travel began Wednesday morning at 5:00 and I knew it would be strenuous because I didn’t sleep the entire night. The taxi arrived at 5:00 AM and I took two trains to London’s Heathrow Airport. I arrived approximately 90 minutes prior to my two-hour flight. The flight to Copenhagen was smooth and uneventful. I arrived shortly after 12:30 PM. Yet, my next flight wasn’t until 8:45 PM. Now, I had approximately eight hours of free time. A co-worker told me I could place my luggage in the airport storage area. When I went to check-in my luggage, the lady told me it would be 80! I initially thought 80 Euros which corresponds to nearly $100 dollars. However, it was 80 Kroners which corresponds to approximately $14. The next step was to the train station within the airport. 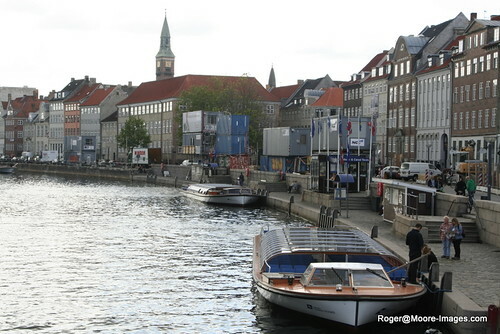 The ticket was about $6 and I was off to downtown Copenhagen. SIDE NOTE: I love me Detroit city. Yet, I find it troubling that I can get to downtown easier from the Paris and Copenhagen train station/airport, where English is not the native language, than I can from my own city’s airport. I walked around and within minutes I was at the town square. There were various restaurants and boutiques in the area; some stores were familiar and some not-so-familiar. 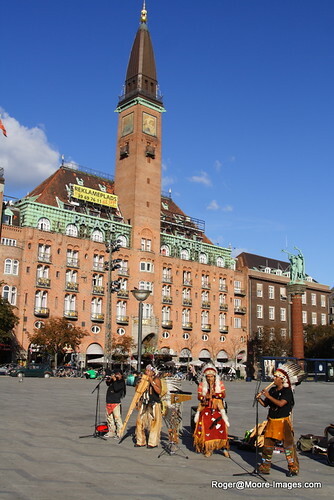 I was impressed with the tribal musicians playing music in the square. Their style of music was very similar to the what we saw in Paris. After walking around I went into a souvenir shop to purchase postcards. I saw some great photos and I asked the lady where the locations were. She told me it was a six-minute walk. I’m glad I asked because when I arrived I liked what I saw. I considered going on a local ferry around the city. 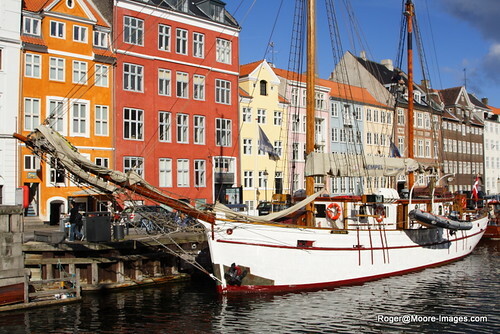 However, I didn’t want to rush back to the airport and I knew I’d spend a day in Copenhagen during my return to England. So, I relented. A few hours later, I made my way back to the airport to prepare for my next flight, and glad I made the effort to see the town. When we take the time to venture outside our comfort zone, we actually expand our areas of opportunity. Taking the time to ride a train in a foreign land literally opened the door to a beautiful city waiting for me to discover and photograph it. The photos of Copenhagen are superb. This is somewhere Fran and I are thinking of going next year. Any tips for us? Rog, this are lovely! You truly are developing a great eye! What do we have to do to get the government of Copenhagen to purchase your photos and turn them into “official” postcards? That would sure put a brotha on easy street! You’re tops!